Hi or as we say here at bejbi, Tja, tja bloggeeeen! I’m here to try out this blogging phenomena that every body has been talking about for the last ten years. If you don’t know me, I’m Tatsumi Suzuki behind the monthly podcast, #Podgressive (remember the very important trending topic hash-tag there!). Podgressive.com and bejbi.se has been working closely since January and it has been fun and at the same time challenging to maintain a ”red line” between bejbi and the podcast. What’s the fuzz about this blogging stuff then, Tatsumi you are a dj and a podcaster! Well, the idea behind this is to get the listeners/subscribers (That means you!) backstage and to the production very heart of each podcast. I will share my thoughts that has been in my head during the past month, releases, djs, the production and all the work behind this show. Let’s call it a big fail! This summer has been the worst one in ages. It has been raining pretty much each and other day and the temperature has been way below normal for us in the Nordic countries. It’s depressing because of our hard, cold and dark winters. We need sun and a couple of months when we can re-charge our batteries! However, the summer usually brings us some parties and iv’e been to some. I have also been djing in Holland at the Luminosity pre-party with FSOS (Future sound of sweden) and in Finland, up north in a town called Vasa. Not to mention our own party at Slakthuset, ”Podgressive Summer Jam” together with bejbi! This is how I create #Podgressive! I usually listen to several podcasts and try to search the web for new tunes. When I find something interesting, I always have a note on my Macbook where I gather all the tracknames so I can get it later. It’s more or less a couple hundred tracks to scrum through every month. Belive me, it takes time to get together a decent podcast! I’ve got some questions about my setup and to be honest, I’m confused! My left foot is standing on modern technics with multiple decs, sync, endless fx and multiple software routed together. Then on the other hand I got my right foot on the classic beatmatching and endless track searching in my dj case. I’m for the moment doing both classic CD to CD beatmatching with my two Pioneer CDJ-400’s and with my Allen & Heath XONE:4D or the mixer together with Traktor scratch. To be honest, man I don’t know! 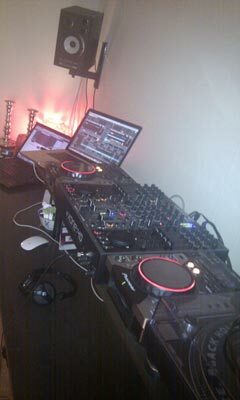 I think my dream setup would be 3 x Technics 2010 mk5 with timecoded vinyls together with a solid mixer. Allen & Heath (Xone 92) + Pioneer RMX1000 or Pioneer DJM900-Nexus. I just love the feel of vinyl. That’s where it all started for me and it would be great to bring it back but modernised and digitalised. This months show will be a nice blend of house, techno, progressive and trance. We will have a very talented guest from Finland with roots in house music and also a great upcoming artist from Sweden, from the FSOS (Future Sound Of Sweden) collective. I have been listening to pretty much techno these past weeks and dude, there are quite awesome releases in that genre at the moment! There has been some great trance releases as well, so hopefully you will like the finalized podcast that has resease on Friday 28th September at http://podgressive.com. 1. He has done it again! Eric Prydz said on his latest podcast that this tune has made the croud go absolutely mental on his gigs this summer! And I totally understand that. This tune has every element you need for a perfect summertune! As I noticed on his tracklisting, this will probably be released on the Eric Prydz alias, not as Pryda. Hopefully he will have this released soon and I’m looking forward to get this into my sets as well. ENJOY! Don’t forget the release of #Podgressive EP034 on the 28th September (Share + Feedback = <3 ) and I will be back here with a new pre-podcast blog post 19th October! 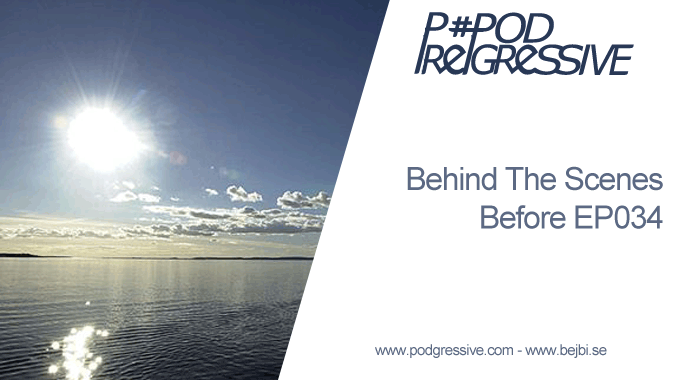 2 Responses to " News: Pre-Podgressive – Behind The Scenes "
Hade helt glömt bort Podgressive men hittade den igen när jag rensade ut lite bokmärken. Ska försöka hålla koll, iallafall lagt till prenumeration på podden.